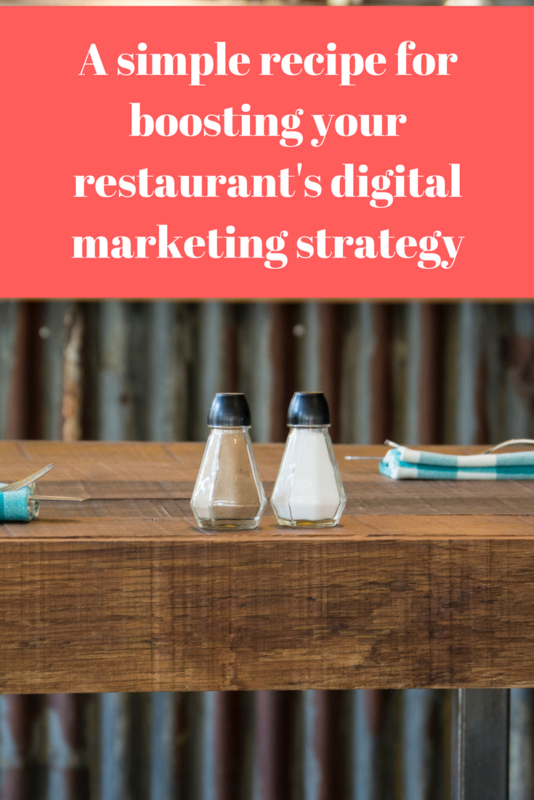 A digital marketing strategy for your Ottawa restaurant is probably the furthest thing from your mind. You’re searching for that killer new dinner special. You’re recruiting a new staff member to replace the waiter who quit on short notice. You’re ordering the right amount of ingredients for the Friday night dinner rush. I get it: You’re busy. But don’t let day-to-day hiccups swallow your restaurant’s long-term growth! 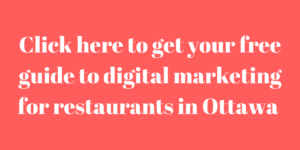 Follow this simple recipe for boosting any Ottawa restaurant’s digital marketing strategy. Want to know more about boosting your restaurant’s online presence? Why do I even need a digital marketing strategy? Many people looking for a restaurant – whether they are visiting from out of town for Canada 150 or just looking for a nice meal on a Friday night – will go online before they choose. More than 85 per cent of people searching for a restaurant on their smartphone will go on to complete a purchase. For Ottawa customers that will mean searching by “Wellington West” or “the Glebe” or “the ByWard Market”. They might take a look at TripAdvisor. Or perhaps they’ll even browse your photos on Instagram. Sound overwhelming? It doesn’t need to be. Here are the three essential ingredients for any Ottawa restaurant’s digital marketing strategy. When people punch your restaurant into Google, your My Business profile will be one of the first items they see. A My Business profile is in many ways your digital storefront. It shows up in search results as a standalone box and helps your business stand out on Google Maps – an essential tool customers will use when searching for a restaurant in a particular neighbourhood. Your restaurant’s address: They can’t eat your delicious Turducken if they can’t find you! Your hours: You don’t want people showing up if on a Sunday if you’re closed. Your website: Give people a taste of what you’re all about with a well-designed homepage. Customers want to know how other diners felt about a restaurant. Was the service slow? Did the waiter greet them with a smile? Oh, and was the food even that good? Reviews on sites like Facebook, Yelp and Zomato are the core of your restaurant’s digital marketing presence – 88 per cent of customers will trust an online review as much as a personal recommendation. But without a strategy for getting your happy customers to submit a review you risk allowing only those who had an issue with their experience to define your online presence. Many people will only submit a review when they are particularly unhappy with their experience. Maybe they felt the service was too slow. Or maybe it rained on their way to the restaurant. Or maybe they’re just really unhappy people! Asking your satisfied customers for a review: Many people who are happy with a restaurant won’t take the time to review. And that’s a problem, because prospective customers won’t know about them. Remind those who are happy with the service to post a review online. Promoting review sites through your website and social media accounts: Let your customers know that reviews help. If you have a Facebook account or a newsletter, send out a request for reviews. Responding to negative reviews: There probably won’t be much you can do to change the mind of an unhappy customer. But you can at least take the time to address them. Responding to negative reviews in a respectful and dignified manner will let potential customers know you care about your diners’ experience. Chances are, your potential customers are on social media. People spend a lot of time flicking through Instagram, Facebook and Twitter. Why not give them a taste of what your restaurant’s all about? Sending out a quick photo of tonight’s special on Instagram doesn’t take much time. It can also help entice returning customers back to try a new dish. 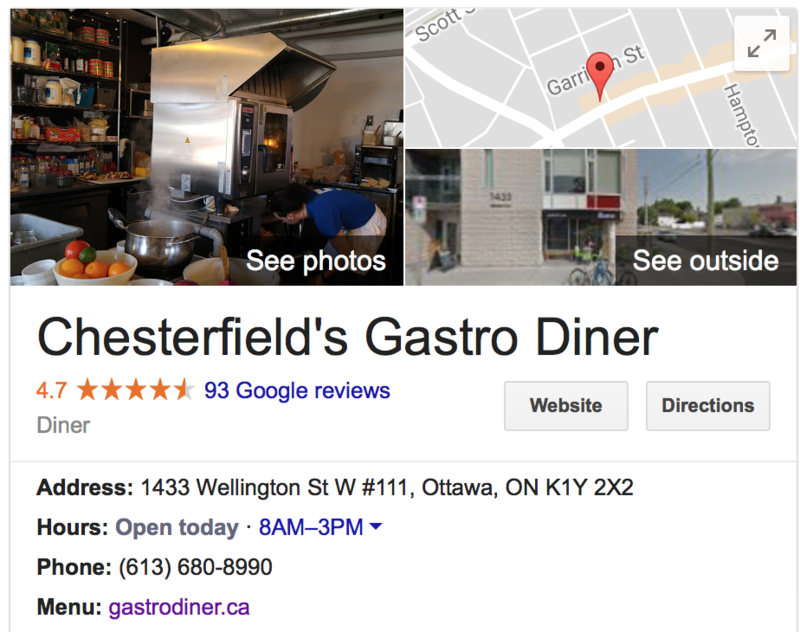 A digital marketing strategy is no longer a “nice to have” for Ottawa restaurants. It’s a need to have. But filling out your online presence doesn’t mean you need to hire a full-time VP of Marketing. Follow these tips to make sure your customers will know how to find you. Copyright Mark Brownlee 2018. All rights reserved.